My friend Denise absolutely adores Lorenzo's for one reason - their linguica pizza - and Mom and I have to agree. It definitely is one of the tastiest linguica pies in the area. 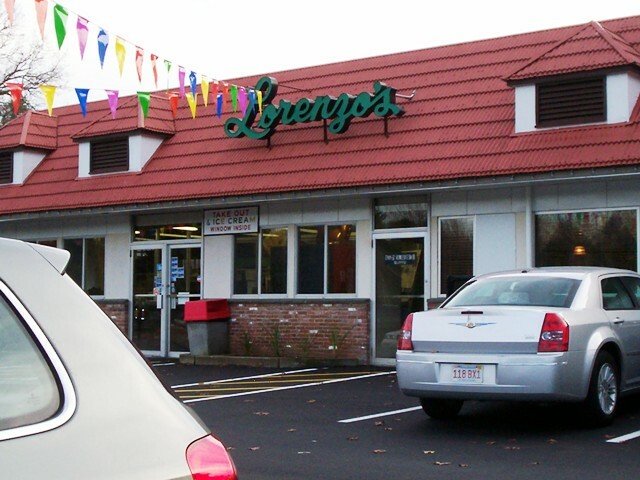 After some thinking about where we should have our Saturday lunch, Mom came up with the idea of visiting Lorenzo's since we hadn't been in a while. "But we just had pizza earlier in the week," I said. "We can always get something else," said Mom. It was then that I remembered the delicious taste of their fettuccine alfredo and was excited to think of what other fantastic Italian dishes they offered. 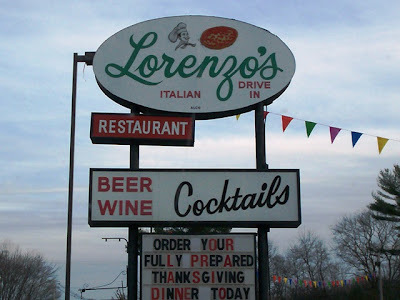 We pulled into the parking lot at around 3:30 p.m.
Lorenzo's has a few different entrances. One is for takeout only, one is for the dining/function rooms, and one seems to be just an abandoned building with no windows called the "grille". We assume that this is where they have outdoor dining in the summer. We'll definitely have to try that (if we are correct, of course). Once inside, we waited at the hostess station to be seated. Mom asked for a table (they have both tables and booths) and we were quickly seated and given the menus and specials list by the hostess. I took one look at the specials list and already made up my mind. 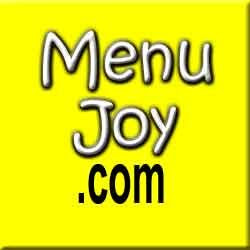 I don't even remember opening the regular menu! Something definitely caught my eye. Mom and I were soon greeted by our waiter - Chris - who took our drink order (two Diet Cokes). When he returned with the drinks, Mom and I were ready to place our order. 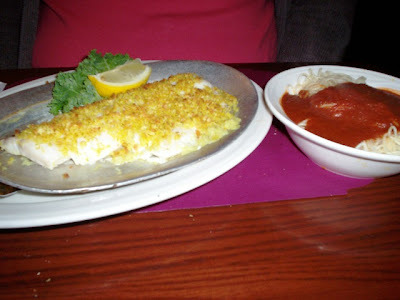 I chose the butternut squash ravioli ($13.95) off the specials menu, while Mom ordered the Boston style broiled scrod ($13.95) with her choice of angel hair pasta. 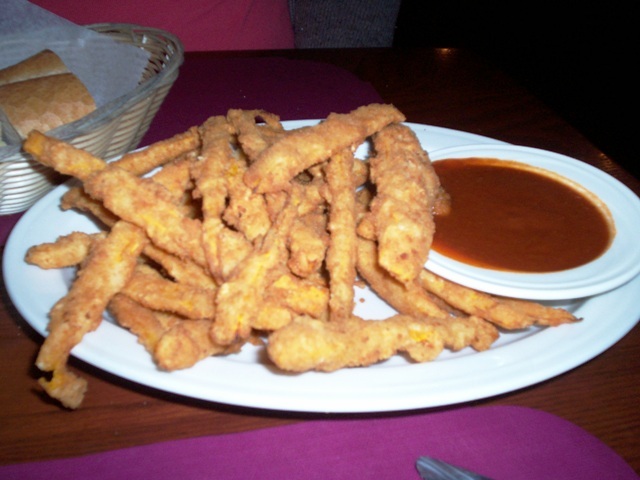 Because we were feeling wild, and because we spotted something really different on the specials list of appetizers, we ordered a plate of fried butternut sticks ($5.95). We figured that they were just slices of butternut squash that were fried, but we double-checked with Chris just to make sure and he confirmed our guess. He told us that they would be served with a side of ranch dressing for dipping. Mom and I joked that I would be in for a butternut overload, but I didn't care. Butternut squash is definitely one of my favorite vegetables (number one being spinach). Lorenzo's is a beautiful restaurant. It is broken up into several different "rooms" for various parties and/or dining, and each time we've visited there has been some sort of function going on. It is decorated in the "old-world" style, and has plenty of attentive, pleasant staff waiting to serve. Mom and I have always enjoy our visits here. Soon after Chris brought over a basket of bread and butter, he returned with our appetizer. It originally came with a bowl of marinara sauce, but he quickly brought over that bowl of ranch that he mentioned earlier. As I took my first bite, I realized that we had definitely done the right thing by trying these butternut sticks. Mom said that they were so much better than she expected because, as we all know, she is terrified of vegetables. She thought they were going to be these squishy, overdone fries, but she was pleasantly surprised when they were firm, crisp, and had a fantastically light batter. They were not greasy at all, and Mom - veggie hater of the world - said that she would definitely get them again. I was glad when we'd finished the platter because if I had eaten just one more, I wouldn't have been able to tackle my upcoming ravioli. When Chris brought out our entrees, they both looked great. Mom's scrod was a good-sized fillet done Boston style which had a lemon dill crumb topping. She said that it was very tasty. The fish was firm but flaked easy with her fork, and the pasta was perfectly cooked and had a deliciously light tomato sauce. She was pleased that her pasta was cooked correctly because a lot of places overcook angel hair because it is so thin. Mom loved her meal from start to finish and would definitely recommend this dish. My ravioli was outstanding. They were stuffed - but not overstuffed - with a delicious butternut squash filling and were sitting in a tasty sage sauce. It was sprinkled with some sort of garnish (my memory escapes me) that enhanced the flavor. 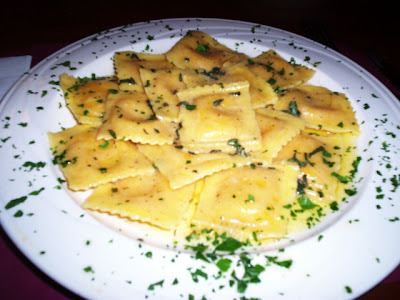 I was surprised at the amount of ravioli that I received because some restaurants give you only four or five in some sort of lame presentation. Not Lorenzo's. They gave me plenty of delicious, piping hot pasta that I stuffed my face with. We gave Chris $48, which included a 20% tip. He was an excellent waiter and was seen serving several tables in two different rooms of the restaurant. Lorenzo's was really starting to fill up! Before leaving, Mom and I visited the ladies' room which was both clean and organized. Stuffed, Mom and I rolled ourselves out to the parking lot and into the car. Although we didn't get Denise's favorite dish, we were excited to tell her that we went to Lorenzo's because she's been visiting this restaurant with her family ever since she was young. 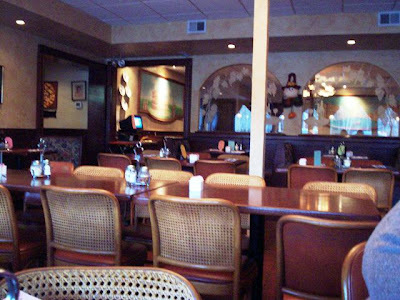 Lorenzo's definitely does not skimp on portions, is always very clean and well-staffed, and definitely serves some of the best Italian food around. Next time, we're getting the pizza ... and hopefully more butternut sticks! 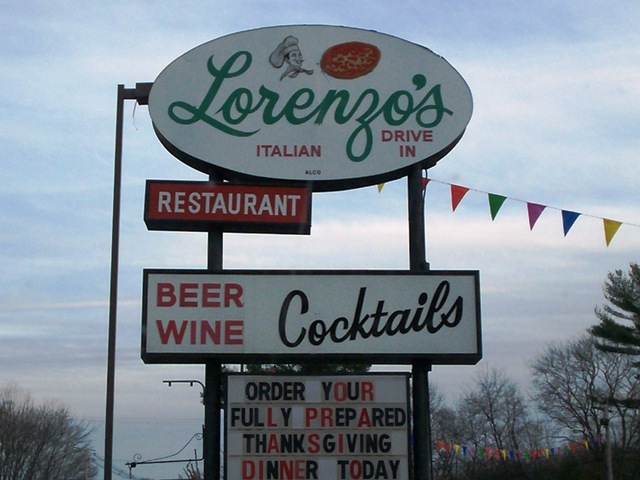 Lorenzo's is open from 11 a.m. to 9 p.m. Sunday through Thursday, and from 11 a.m. to 10 p.m. Friday and Saturday.